Our Stratford Library at the University of East London's Stratford Campus has been selected for the shortlist of the Concrete Society's 2013 Awards in the education building category. It is one of just six projects nationwide to be listed and the overall winner will be announced on 7 November. 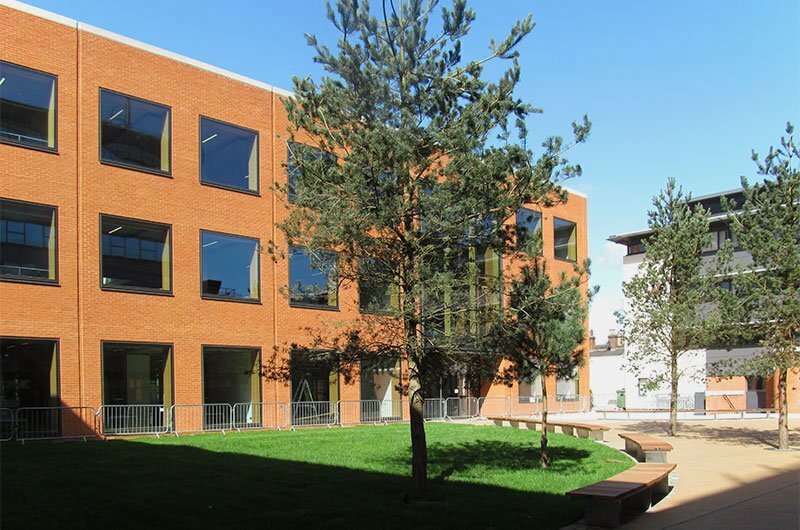 The new library features space for 150,000 items of stock and includes a 24-hour cafe, study areas and a new outdoor courtyard. It is anticipated that the building will achieve a BREEAM rating of "Excellent."